I am lazy when it comes to snacking time and end up eating biscuits, chips.... 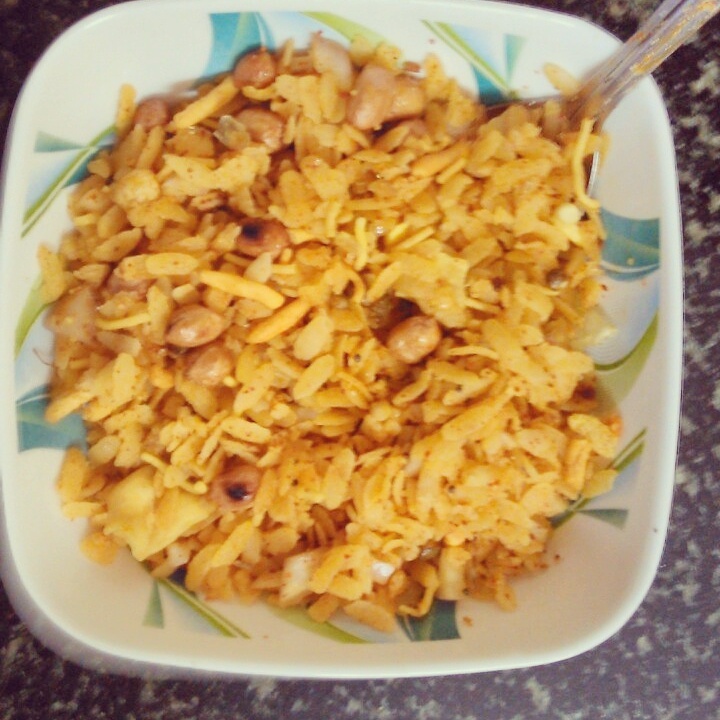 So I made this poha as I was too lazy to cook it. 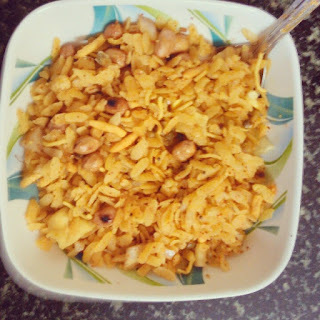 It just tastes like bhel and hope you all like it. Let's see how to prepare this recipe. 1) Soak poha in water and discard all the water immediately and add roasted peanuts, chopped onion, tomatoes and mix well. 2) Take a tadka pan and heat oil in it with mustard and cumin seeds. 3) Add chilli powder and turn off the flame and temper the poha with this oil. Add the farsan or sev to it. 4) Add salt and sugar according to taste and mix well. 5) Garnish with lime juice and coriander and serve. NB- Add a little less chilli powder as raw onion will have a little strong taste. Tell me your snacking favorite in comments below.